Allow the Boca Mission Bed to provide you with the frame you need for comfortable and sound nights of sleep. This solid wood bed is available in a twin, full, queen or king size for your convenience. You can have this bed made as a platform where you will only need to purchase a mattress, or you can choose the standard construction that requires a mattress and box spring. 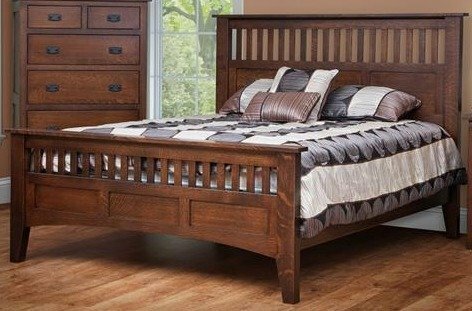 Standard with a 20-year limited warranty in the wood and finish of your choice, this Amish bed is a no brainer if you are looking to upgrade your suite.